Please refer to our university history brochure: Yesterdays leading to our days. From Institutum Geometrico-Hydrotechnicum to the Budapest University of technology and Economics. 1782 – Emperor Joseph II establishes the Institutum Geometricum as part of the Faculty of Liberal Arts at the University of Buda. 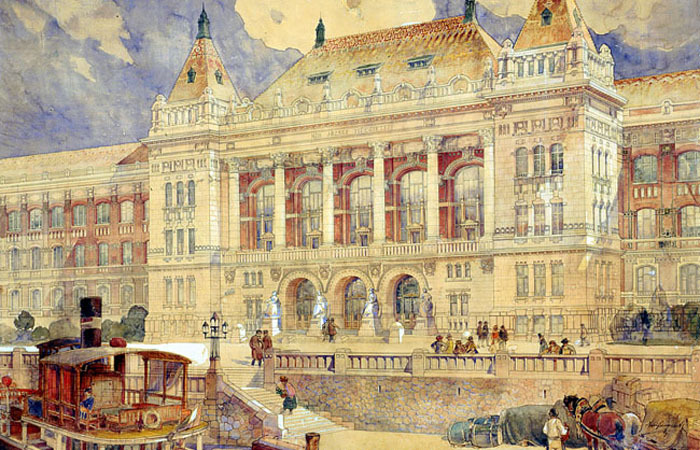 The Institutum, the direct predecessor of the Budapest University of Technology and Economics, is the first in Europe to award engineering degrees to students of land surveying, river control, and road construction. 1850 – The Institutum Geometricum merges with the Joseph College of Technology. 1871 – Royal Joseph University gains full autonomy and the right to issue engineering diplomas after five years of studies. It is among the first institutions in Europe, to train engineers on university level. 1901 – Royal Joseph University is entitled to confer the doctoral degree, "Doctor Rerum Technicarum"
1949 – The name "Technical University of Budapest" becomes official. At this time the university consists of the faculties of: Civil Engineering, Mechanical Engineering, Architecture, Chemical Engineering and Electrical Engineering (in historical order). 1994 – The Technical University of Budapest is among the first universities in Hungary to introduce the credit system. The university applies the credit assignment according to the European Credit Transfer System (ECTS) in its accredited academic programs. Present More than 110 departments and institutes operate within the structure of eight faculties. About 1100 lecturers, 400 researchers and other degree holders and numerous invited lecturers and practising expert specialists participate in education and research at the Budapest University of Technology and Economics. Approximately 800 of the university's 14.000 students are from 50 countries abroad. The Budapest University of Technology and Economics issues about 70% of Hungary's engineering degrees.